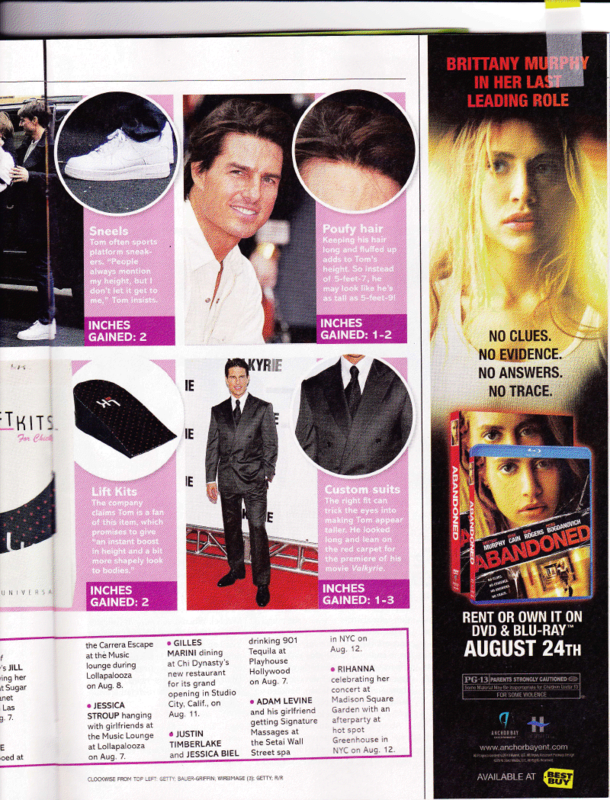 From the pages of the August 30, 2010 edition of Life & Style, Tom Cruise is critic-ed on the night of the Knight and Day premier in London for looking as tall as Cameron Diaz. Reportedly, Jimmy Au’s tailor to Stars 5′ 8″ and under has dressed Tom in the past. The magazine also reports that Cruise uses Lift Kits shoe insoles to help boost his height, which can also be found at Jimmy Au’s. Check out pages 44 and 45 to get the full scoop.